The country has developed a three year investment program with assistance from the World Bank and the International Monetary Fund (IMF) that is designed to "achieve accelerated, balanced economic growth and poverty reduction," he said. 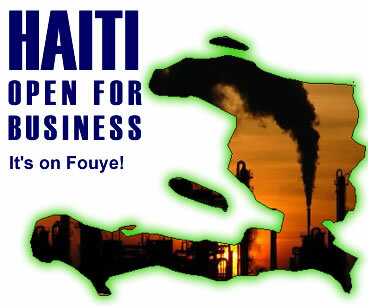 Lamothe said that the 2014-2016 project is part of the strategy Haiti is developing as it embarks upon a "path of change," and that the development plan "is designed to make Haiti an emerging country by 2013." Lamothe described the plan as "our long-term road map for bringing about a lasting and significant improvement in the quality of life and standard of living of the people, of every Haitian man, woman, and child."